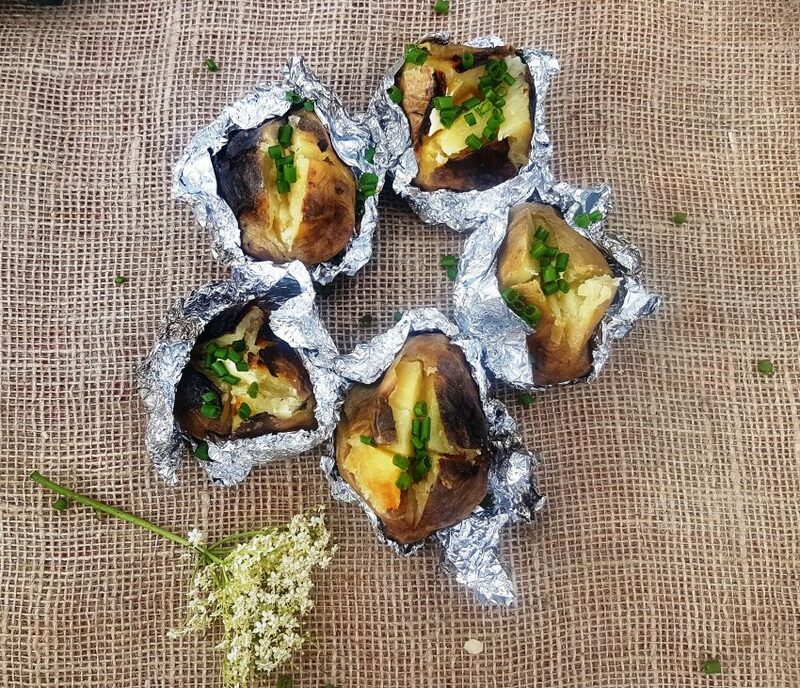 Wrap the cleaned baked potatoes in foil. Place onto the pizza stone. There is room for about 15- 20 potatoes in the Aquaforno and about 8-10 in the Piccoloforno depending on the size of course. Cook for 45 -60 minutes depending on size. Place under the stove in a pan to keep warm if necessary.